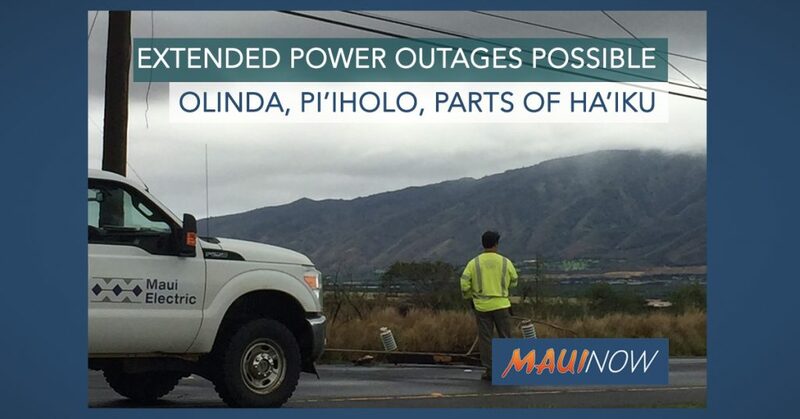 Maui Electric is asking affected customers in the Olinda and Pi‘iholo area as well as parts of Haʻikū along Kokomo Road and Kauihikoa Road to prepare for an extended outage with the possibility of an overnight outage. Extensive tree clearing work, as well as darkness and windy conditions, are slowing the replacement of downed poles and other equipment. 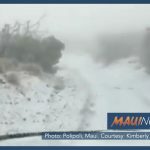 Customers across all parts of Maui County experienced power outages today due to strong winds bringing down trees, power lines, and utility poles. 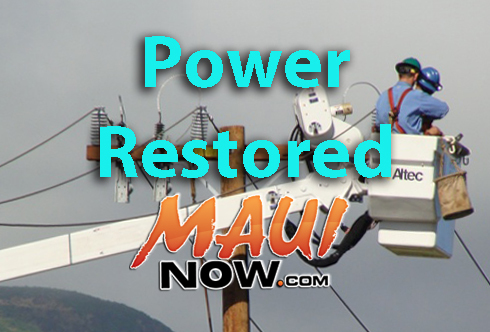 As of 6 p.m., Maui Electric crews have restored some customers in Central Maui, East Maui, Upcountry Maui and parts of Wailuku and Haiku and are continuing restoration efforts to remaining customers in the areas of Upcountry Maui, East Maui and West Maui. On Moloka‘i, crews restored customers affected on the East End and on Lānaʻi, crews restored customers affected in the Lalakoa area. 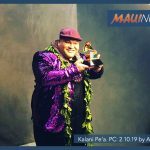 The public can also sign up for outage and restoration updates at www.mauielectric.com. 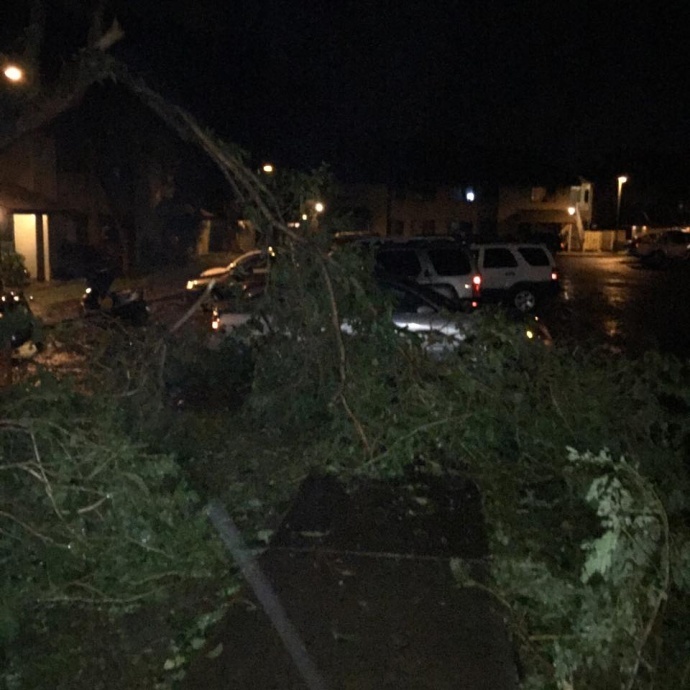 A High Wind Advisory remains in effect and the threat of trees and power lines coming down remains. Do not touch fallen or low-hanging wires or anything such wires may be touching; assume every wire is still energized and dangerous. Stay clear of puddles where downed lines may have landed. Stay away and warn others to stay away. 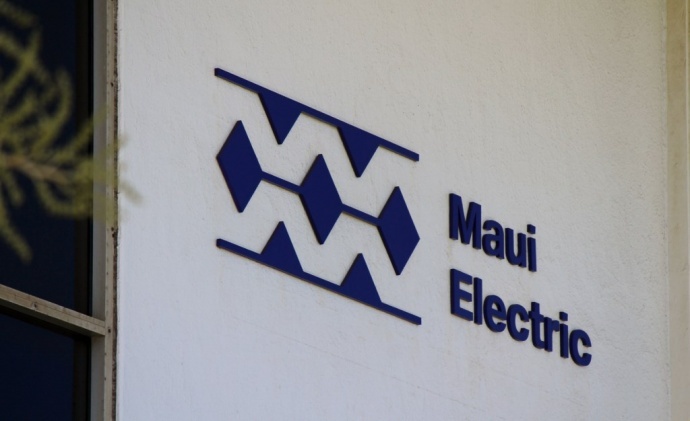 Call the Maui Electric Trouble Line at 871-7777 on Maui or 1-877-871-8461 on Molokai and Lanai. Call 911 for immediate emergency help. If a power line has fallen on a car that you are in, stay inside the car if possible and wait for help. If you can, try to break contact with the line by driving the car away from it. If you need to get out of the car right away because of some other pending danger like fire, jump so that your body clears the vehicle before touching the ground. Do this to avoid having your body become an electrical path from the car to the ground.